Customer experience design is hot. Venture capitalists, entrepreneurs and even industry analysts recognize the business advantages of taking a “design approach” to building integrated, memorable, and favorable customer experiences. But despite its popularity, not enough firms know how to practice customer experience design with discipline. On the other hand, many designers face challenges and become frustrated by constraints, politics and changing requirements of their clients. In this first part of a series of articles, I will try to re-frame the business challenge of realizing profits from customer experience from a design perspective. For this re-framing, I will use the concept of “wicked problem” (Rittel 1973). Re-framing this challenge as a “wicked problem” will clarify why much of the work in customer experience design is not as simple as others might think. But some remarks before I get started. First, I think the field of Customer Experience (CX) is important to user experience (UX) designers. The UX community is being influenced, changed and even pressured by service design and CX as emerging fields of practice. In one of my previous articles, I labelled CX as the fraternal twin of UX. Now, the time has come for UX design to move up and make a difference. If we don’t, others will. Second, the contents of this article on design for CX in business organizations also applies to other contexts. The principles and practices of CX can also be applied to other participants and organizations, such as citizens (for governmental services), patients (for healthcare providers), and students (for educational institutions). As a designer, do you recognize the following situation? You work for a design agency or an in-house design studio. Your project is part of an ambitious program for a company to become more digitally-oriented. There are many stakeholders involved, such as marketing, IT and product management. You’re part of a team with members from different backgrounds, expertises, and working and communication styles. The project brief raises more questions than it provides answers for. As usual, there are limited resources to do things appropriately (think conducting field or user research). Throughout the project, business requirements appear more important than user needs. The domain you’re dealing with is one you only know from being a customer, such as insurance. You see the CX maturity level of the organization as mediocre. In the previous paragraph, I described or framed a project situation you might recognize. But what is framing? As you know, how you describe a problem – the terms you use and their connotations – has a major influence on how the problem is perceived and discussed. The concepts, labels, and underlying values shape the conversation. This linguistic process is known as “framing”. Framing refers to a set of concepts and perspectives on how people organize, perceive, and communicate about reality. Also, framing refers to the social construction of knowledge and understanding. So, the way we frame something also determines how we understand things. Furthermore, the raw ingredients of a solution are already present in the framing of the problem. An example of framing might be helpful. The “bad apple” frame, as in the proverb “one bad apple spoils the barrel”. This frame implies that removing one underachieving or corrupt official from an institution will solve a given problem. An opposing frame presents the same problem as systematic or structural to the institution itself – a source of infectious and spreading rot. But what about re-framing? In other words, framing a known problem statement differently. Re-framing allows you to see things differently. It implies trying to find alternative ways of viewing ideas, events, or situations. It opens up new ways of discussing, thinking and understanding. Examples are re-framing a problem as an opportunity, a weakness as a strength, or an impossibility as a distant possibility. This article intends to re-frame realizing profits from CX design. There are three types of problems, challenges or opportunities: “tamed”, “wicked”, and “super-wicked”. In many design practices, people we work with approach project challenges as “tamed” problems. But how do you recognize you’re dealing with someone like this? A tamed problem can be recognized by its characteristics. It has a relatively well-defined and stable problem statement. It has a definite stopping point, i.e. we know when the solution or a solution is reached. It has a solution which can be objectively evaluated as being right or wrong. It belongs to a class of similar problems which can be solved in a similar manner. It has solutions which can be tried and abandoned. Determine a set of user tasks. Go through the set and identify frictions, inconsistencies and misconceptions for the user. Provide recommendations for improvement with appropriate screenshots, explanations, and references. Hand over your recommendation and consult during the implementation. However, you have to compromise regularly during implementation due to technical, business and other constraints. As an outcome, it is almost sure the usability of the site has improved (the stopping point). So, a tamed problem implies causality between problem and solution; it supports the analysis of a problem in terms of identifiable causes and the underlying notion that if you fix the causes, the problem disappears. But in the case of generating profits from high-quality CX in the context of a large organization, framing it as a tamed problem doesn’t help. The level of complexity, its scope and efforts needed are too high. We must re-frame it as a “wicked (design) problem”. As we moved into the 21st century, it became apparent that the increasingly interconnected world in which we live brings with it new challenges and opportunities that are generally complex in nature and often large in scale. It was German design theorist Horst Rittel (1930-1990), who in 1973 first identified design as belonging to a class of wicked problems. The phrase was originally used in social planning to describe a problem that is difficult or impossible to solve because of incomplete, contradictory, and changing requirements that are often difficult to recognize. Rittel argued that most of the problems addressed by designers are wicked problems. Wicked problems can be characterised as problems that spawn new problems in their solving, and not the black and white answers that are assumed to be there. A wicked problem is one for which each attempt to create a solution changes the understanding of the problem. Wicked problems cannot be solved in a traditional linear fashion, because the problem definition evolves as new possible solutions are considered and/or implemented. Every wicked problem is essentially unique and novel. – No two wicked problems are alike and the solutions to them will always be custom-designed and fitted. Over time, we can acquire wisdom and experience about the approach to wicked problems, but one is always a beginner in the specifics of a new wicked problem. In project work, every business organization is unique because of its products, services and ecosystem (including stakeholders). Therefore, the context of every designer, design team or in-house design studio must be considered as unique. Wicked problems have no definitive formulation. – As the understanding of a wicked problem increases, the solutions begin to emerge. The problem formulation evolves and emerges in parallel with the solution formulation, that’s what makes the process non-linear. This requires a specific kind of collaboration. You don’t understand the problem until you have developed a solution. Every solution that is offered exposes new aspects of the problem, requiring further adjustments to the potential solutions. There is no definitive statement of “the problem” because they are ill-structured and feature an evolving set of interlocking issues and constraints. Monodisciplines like marketing, technology or product management all differ in interpretation, analysis and motivation on how to change a low-quality CX into a high-quality CX. Interpretations, ideas and notions from them change all the time. And they probably also have different perspectives on the business relevance, value and meaning of CX in general. Every wicked problem is a symptom of another problem. – Suppose the redesign of a corporate site doesn’t significantly improve the overall CX. Related problems could be that marketing campaigns are not productive, company culture is not customer-centered, or the organization is too complex to be decisive. When the user experience of a site is problematic, the organizational structure might actually be the problem. Because of all such kinds of interdependencies, efforts to solve one aspect of a wicked problem may reveal or create other problems at a higher level. Wicked problems have no stopping rule, or criteria upon which to determine “solving”. – Since there is no definitive “problem”, there is also no definitive “solution”. The problem-solving process mostly ends when you run out of resources, not when the best solution is implemented. Improving the CX of a business organization is an ongoing and never-ending process: with a definite start but with no definite end. The quality of the CX is determined by many factors. Therefore, an evolutionary perspective on the ecosystem, a way of working that is incremental and iterative and a thinking in terms of an expanding number of touchpoints (life-cycle evolution) are necessary. Solutions to wicked problems can only be good or bad; not true or false, or right or wrong. They are simply “better/worse” or “good enough/not good enough”. – The determination of a solution’s quality is not objective and cannot be derived from following a formula. All the opinions, hidden agendas and problem definitions within the organization will lead to right/wrong solutions. This means that in the end, there is no single best design of a touchpoint. There is no complete list of applicable “moves” for a solution to a wicked problem. – Following the right process (be it waterfall, agile or lean) and providing the appropriate deliverables do not guarantee success. Following pre-defined design stages (such as Understand, Ideate, Design, Prototype, etc.) and/or deliverables are “just” heuristics, not algorithms. There is always more than one explanation for a wicked problem, with the appropriateness of the explanation depending greatly on the individual perspective of the designer. – The causes of a wicked problem can be explained in numerous ways. The choice of explanation determines the nature of the problem’s resolution. Talk to stakeholders or professionals from one of the monodisciplines and you’ll get different requirements and views on the company, its customers and market at large. No solution of a wicked problem has a definitive, scientific test. – You can’t scientifically prove your design is the best. In the best case, your design is sub-optimal or (under the given circumstances, constraints and situation) maximal. You will have a hard time when business asks you: Just prove it! Designers attempting to solve a wicked problem must be fully responsible for their actions. – Are designers held accountable for their designs? Claiming any kind of ROI on business drivers like cost reduction, increases in revenue or customer satisfaction is one thing. Being accountable for it is another. Those seeking to solve the problem are also causing it. Policies discount the future irrationally. Other examples of super-wicked problems are world hunger and poverty, war, costs of health, running out of natural resources and water for all. Unique: Changing markets, accelerating technologies and each and every business organization on the whole define the unique context in which every CX design work takes place. No final formulation: Each time you interview stakeholders, you’ll get a different story. Symptom of other problem: When you notice a rather immature digital strategy in a company, there’s also problably not a shared vision or understanding of the organization, its market and customers. No stopping rule: Projects and activities end when they run out of resources. No list of “moves” to a solution: Delivering an online product or service is not a one-time event. You have to pay attention to digital touchpoints all the time and let them grow in the best direction. Only good or bad: There is no best design of a digital touchpoint. You can only constantly improve it. Always more explanations: Talk to the siloes, monodisciplines and other project teams and you get many different perspectives. No solution has definite, scientific test: When business asks “Prove it!”, in the end you can’t. Designers are responsible: The tricky part of taking responsibility. Re-framing CX design challenges in business contexts as wicked problems might deliver new perspectives, understanding, and approaches to tackle them for many in our design community. In the next posts, I’ll describe other dimensions of this wicked problem, like challenges facing businesses, its relation with design and CX as a set of cross-disciplinary activities. 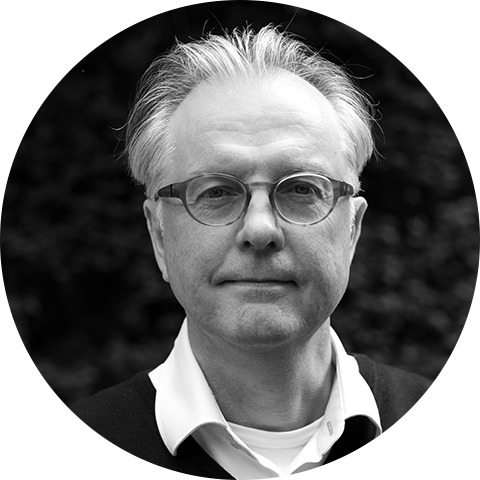 InfoDesign‘s Peter Bogaards (a.k.a. @BogieZero) has been an online content curator avant-la-lettre in information architecture and related user experience fields for more than a decade, choosing what he thinks is relevant, interesting, or remarkable to share. With his tagline “Sharing knowledge is better than having it,” he has been an indispensable resource for many within the UX community. Currently, Peter works as community builder at Informaat experience design.